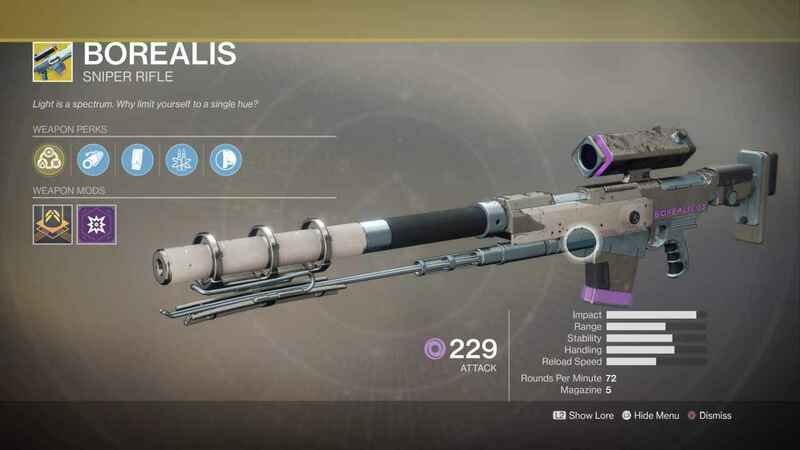 This page contains a list of all obtainable destiny 2 sniper rifle that includes exotics, legendaries, rares, uncommon and common weapons. The Destiny 2 Sniper Rifle is a weapon that appears in-game. They provide great range, high accuracy and damage but suffer from the reload speed. As like other sniper rifles, they are best used in long range combats and will often put you in a disadvantage when you are facing an enemy in close proximity. For the Destiny 2 Sniper Rifle, it has several classifications. This includes the Common, Uncommon, Legendary, and Exotic kinds of the Destiny 2 Sniper Rifle. *These weapons are sorted by rarity. If new Sniper Rifles appear, we’ll be updating this as well. Exotic Sniper Rifles appear more in the Beta than they do in-game. They have an extremely low drop rate, making them coveted by most players. Players can also choose an Exotic Weapon upon completing a particular portion of the game. Legendary Sniper Rifles drop in-game. Similarly to the Exotic, they have a low drop rate. However, they do not need a certain condition to be met unless it’s a quest item. Should the player be unable to procure an exotic sniper rifle, a legendary sniper rifle can serve as a good substitute. The Uncommon Weapons are also easy to find. If you have a Common Weapon and you find an Uncommon then, best you replace it. In the long run, the Uncommon will definitely deal more damage. However, you’ll find yourself at a wit’s end if you’re fighting a boss like Irausk or Thumos. With both of them having high hitpoints, you will be needing better weapons.